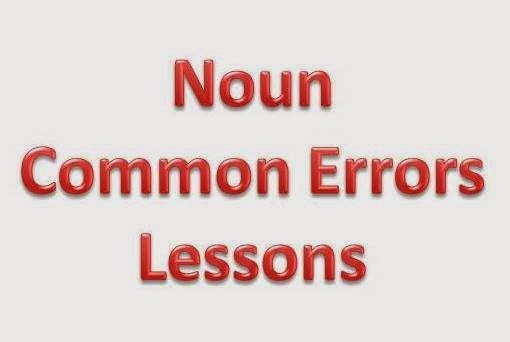 Most common error related to nouns we made in competition examinations (SSC, SBI, IBPS, Railway, UPSC and State Exams). We start a series so you can subscribe us to get updates with us. Correct: The capital of Bihar is Patna. Rule 1: Proper nouns are always written with a capital letter at the beginning. Correct: Neelesh is the Gandhiji of our class. Rule 2: Proper nouns are sometimes used as common nouns. In question second Gandhiji does not mean Mahatma Gandhi. Correct: The jury has given itsdecision. Rule 3: A collective noun usually takes a singular verb and is substituted by singular pronoun. It is to be noted here juryas whole, which work as a unit. Correct: The jury were divided in theiropinions. Correct: The Committee took the decision without leaving their seats. Correct: Debi Prasad had a herd of cows. He kept a herdsman to look after it. Now, what did the herdsman look after? Herd, of course. And the herd consists of cows (females), not bulls (males). So you think the herd is a feminine noun. But this not correct noun, it is neither male nor female. So, apply neuter gender. Rule 5: Collective nouns, even when they denote living beings, are considered of the neuter gender. Q-6: The baby loves his toys. Correct: The baby loves its toys. Rule 6: Young children and the lower animals are also referred to as of the neuter gender. Example: The mouse lost his tail when the cat pounced on him. Correct: The mouse lost its tail when the cat pounced on it.